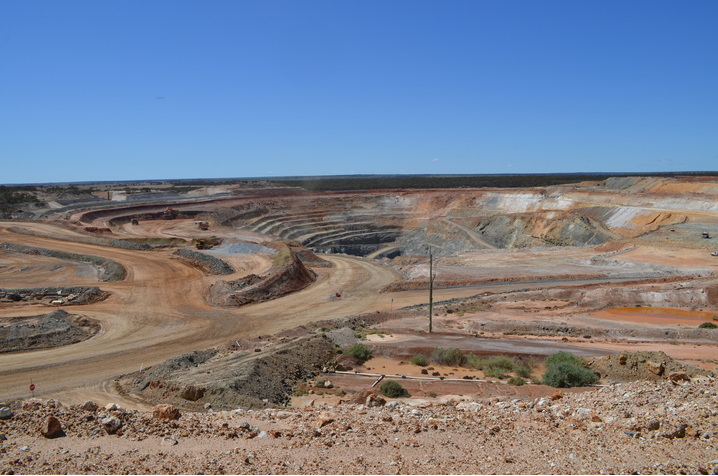 Open cut gold mine, currently operated by Evolution Mining. 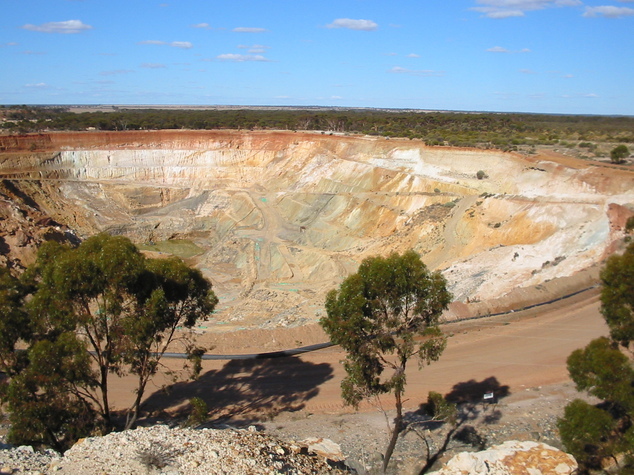 The Edna May mine is located near the northern end of the Westonia Greenstone Belt in Western Australia's Archaean Yilgarn Craton. The Westonia Greenstone Belt comprises a series of outliers of predominantly amphibolite-grade metamorphic rocks extending approximately 100km WNW from near Edwards Find, south of Southern Cross. The remainder of the terrane comprises granitic rocks and their metamorphosed equivalents. The Edna May gold mineralisation is hosted within three en echelon tonalitic gneiss intrusions, namely Edna May, Greenfinch and Golden Point. The deposits are bound to the north and south by an ultramafic ampbibolite. Current resource at Edna May is 48Mt at 1.0 g/t Au. Current annual production is 70-80koz Au. 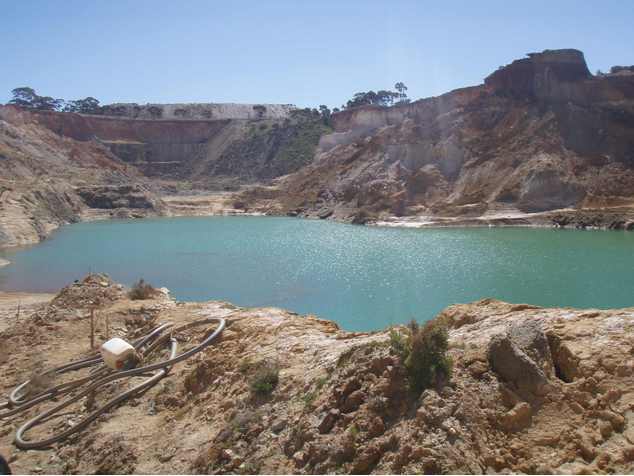 A Western Australian Museum field trip to the mine took place in October 2009, during which full access was granted to collect from historical mine dumps and stockpiles. Two days of collecting yielded very little specimen material. None of the interesting secondary lead minerals reported by Simpson (1948) e.g. crocoite and tungsten-bearing wulfenite, were found. Such minerals in the oxide zone of orogenic gold deposits are often associated with high grade secondary gold mineralisation, and hence were usually earmarked for processing. The deposit is found in a small greenstone roof pendant in granite. The sequence shows metamorphosed interbedded mafic schist, amphibolite schist, coarse grained amphibolite, hornblende-biotite schist, gneisses and some ultramafic rocks. The greenstone is sheared and highly contorted, dipping 50 degrees north-east. The greenstone is intruded by pegmatite and hornblende dykes. 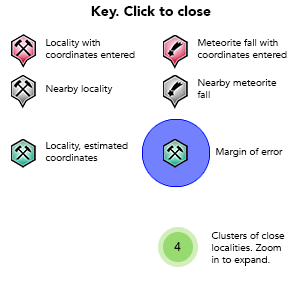 The host to the mineralisation is an elongate north-west trending lens of biotite-hornblende gneiss, 420 metres long by 140 metres wide, as an enclave in mafic rocks. The mineralisation is within thick folded quartz pegmatite reefs in fissures. The quartz is milky white and translucent. The source states rows of fluid inclusions have been found in the quartz. The gold is disseminated in the quartz, some feldspar and wolfram mineralisation, rather than in sulphides, although paradoxically gold grades are directly related to sulphide abundance. 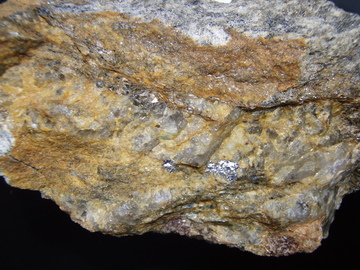 Gibb-Maitland states there was considerable masses of scheelite and wolframite, several inches in diameter in coarsely crystallised pegmatite veins, below the 550 foot level. There are four parallel reefs called Edna May, South, Middle, and Consolidated. The reefs fold into an anticline, pitching 50 degrees north-west, and intersects at the surface as a boomerang shaped outcrop (now likely gone through mining). The reefs are broken into vertical offset sections by low angle faults, cut by granite dykes, and mafic dykes. Reference: Simpson, E.S., (1948) Minerals of Western Australia. Volume 1-3. Government Printer, Perth.